He, of course, saved the best for last. We were standing at a door when my Disney rep asked "Would you like to see the Spa Villa?" "Yes, why yes, I think I would." I replied. And there it was. Heaven on the seas. A dreamy couples room set up with a view to the ocean, a spa room with two massage tables, a private verandah and jetted tub to relax in together while the kids are learning how to make Flubber four decks below. This is one of the things I love about Disney, the unexpected magical moments like this. 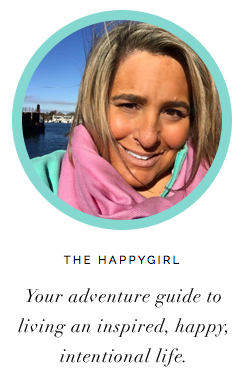 When you book a Disney Cruise, sure you expect Disney characters and exceptional customer service but then Disney surprises you with a quiet moment with your partner-alone-except for the whales breeching just off the starboard side. We're HUGE fans of Disney here at The Happygirl. 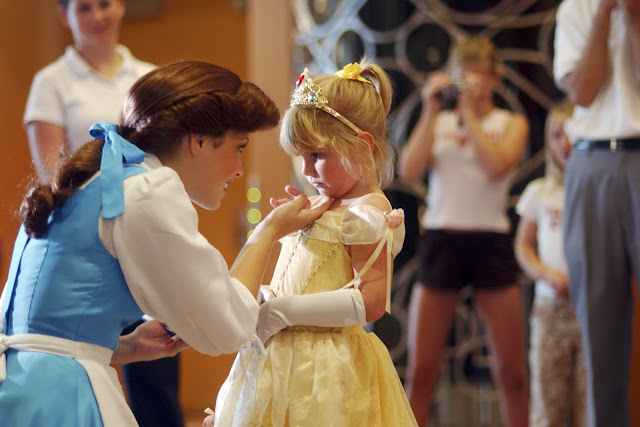 Walt Disney World, Disneyland, Disney Cruises we love it all. Is there anyplace happier than a Disney vacation? So when we were invited to take a media tour of the Disney Wonder the morning before her first cruise to Alaska, we said yes, absolutely yes. 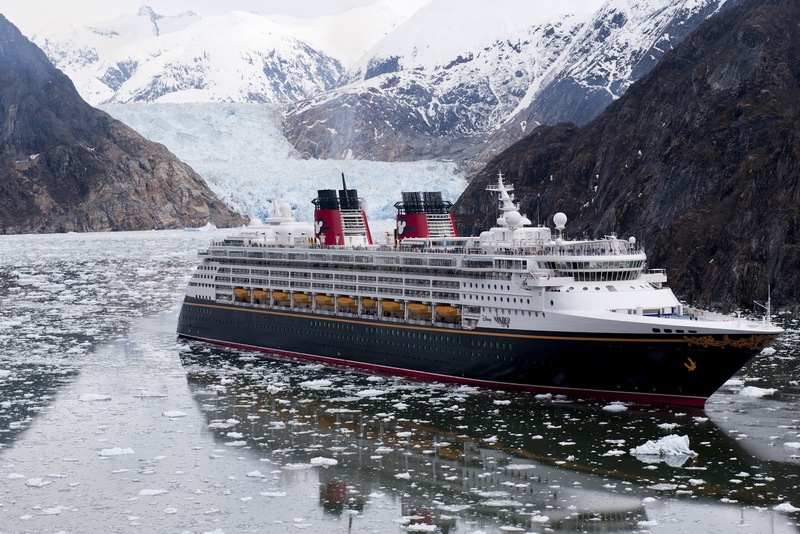 Throughout the summer the Disney Wonder will make 14 seven night trips to Alaska including stops in Tracy Arm, Skagway, Juneau and Ketchikan, Alaska as well as Victoria, British Columbia before she heads back down to Los Angeles and the Mexican Riviera. There is something magical about cruising with Disney, especially when you can incorporate the natural beauty of Alaska (think clean crisp air, vast green vistas, blue glaciers and wildlife adventures that include floatplanes, campfires and hiking.) When you go be sure to take the vintage railroad car up the White Pass & Yukon Route where you will travel over 20 miles past Bridal Veil Falls and Inspiration Point. It feels a bit like you've gone back to the Gold Rush period as you climb up the mountains on sheer cliffs. Think Thunder Mountain Railroad but real! 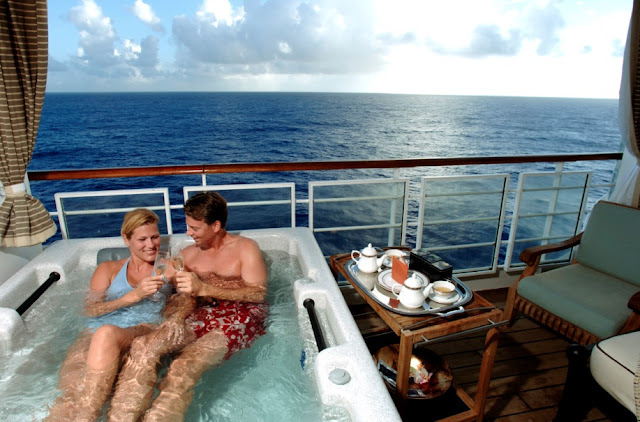 We’ve cruised several times on family trips and if you are familiar with cruising in warm climates like the Caribbean, Alaska will be a completely new experience for you. In addition to the natural beauty of the rugged wilderness, there is the morning you wake up and you are quietly gliding in the greenest water with the bluest ice you’ve ever seen floating by. Seeing glaciers up close, it’s hard to imagine what crushed these rocks and ice into this formation but luckily as you sail into Tracy Arm, a naturalist is there on board to answers questions. The beauty is almost impossible to describe when you are so close to this pristine wilderness. It’s literally one of the most memorable moments you can share together as a family. 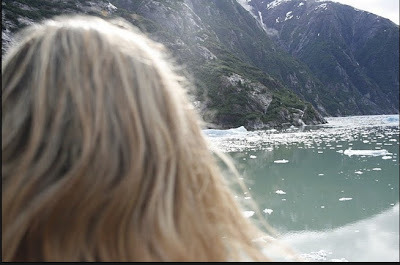 Be sure to capture a photo with the glaciers behind you. This will become your holiday card! Being a Disney cruise ship, however, exploring is half the fun. There seem to be surprises around every corner. Can you spot all the hidden Mickeys? There is the “Disney Dreams. . .An Enchanted Classic” Broadway-style production, breakfast with Disney characters and fireworks at sea. Imagine your favorite parts of your Walt Disney World vacation were combined with your favorite parts of nature. What we discovered when we took an unforgettable Disney cruise as a family (15 of us!) several years ago was that there were plenty of activities for the kids (the girls LOVED the Oceaneer Club! ), and for us together as a family (day trips, dinners, pool time) but when L. and I wanted to spend some romantic time relaxing just he and I, it was easy. There are adult only spaces around the ship. We spent one lovely afternoon just lazing about in the Quiet Cove pool and napping together under the sun on the chaise lounges. It really is the perfect family vacation. So there we were in the Spa Villa at the end of our tour. We had seen the staterooms, the kid’s areas and clubs, the impressive restaurants, pools, theaters and the spa (including the Rain Forest with heated stone loungers!). It was unfortunately time to debark as passengers started arriving for this cruise into one of the most breathtaking areas of the United States. As we walked off the ship we saw the family. You know the family with the mom and dad with the two kids, excited and staring up at the majestic ship. They smiled at me and I wanted to tell them about the whales and the Spa Villa and the glaciers but I just smiled back at them. They had a week to discover all the magic aboard the Disney Wonder. If you would like to take an adventure of your own to Alaska on the Disney Wonder there are still great staterooms available throughout the summer. 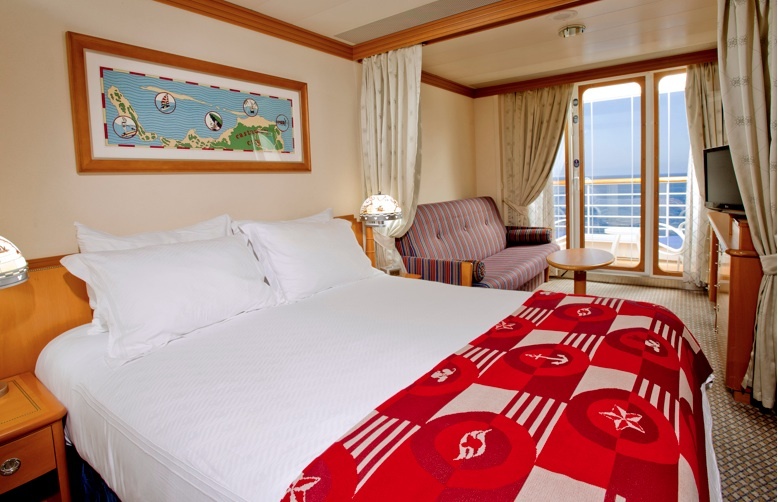 Each room has two phones that can be used to call other staterooms or anywhere else on ship but they can also be used like walkie-talkies, so family members can still communicate with each other when they are doing different things on the ship. Outdoor movies! Yey! Watching a film from a pool? Yes please! There are also first run film premieres in the theatre. So when “Brave” opens on land, it opens on the Disney Wonder and other Disney ships as well. The split bath-and-a-half where the sink and tub/shower are in one room and a sink and toilet are in another room. The Animator’s Palate dining room where the black and white walls change into bright colored animation scenes plus other surprises that we don’t want to spoil for you! Soda is free! It’s a nice touch to not have to purchase a soda package. I love that we know how long we've run on the outdoor jogging path!